I finished reading The Lion's Roar by Tzvi Fishman, and now I have to wait almost a year to read the next installment, Anonymous Soldiers. #1 Tevye in The Promised Land was reviewed here, as was #2 Arise and Shine. Before I go any further, I'll get straight to the point. Buy the series for yourself, friends and family. The books suit all ages, and if you're careful about what your kids read, no problems. There's nothing to censor. Fishman's series is also a fantastic way to learn and teach Jewish and Israeli History. 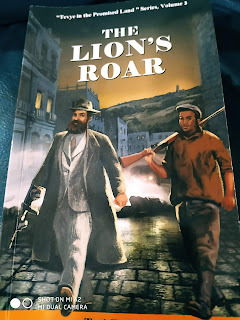 The Tevye series can also be used to teach Jewish History in Jewish Schools or English in Israeli ones. The Tevye series should be turned into movies or television shows. The plots are actual history, though characters are a combination of real historical figures with fictional ones. And as I've said before, consider Tevye of the Forrest Gump genre. The big difference is that Tevye is highly intelligent and ideologically motivated, unlike the also fictional Gump, who finds himself in real historic events by chance. 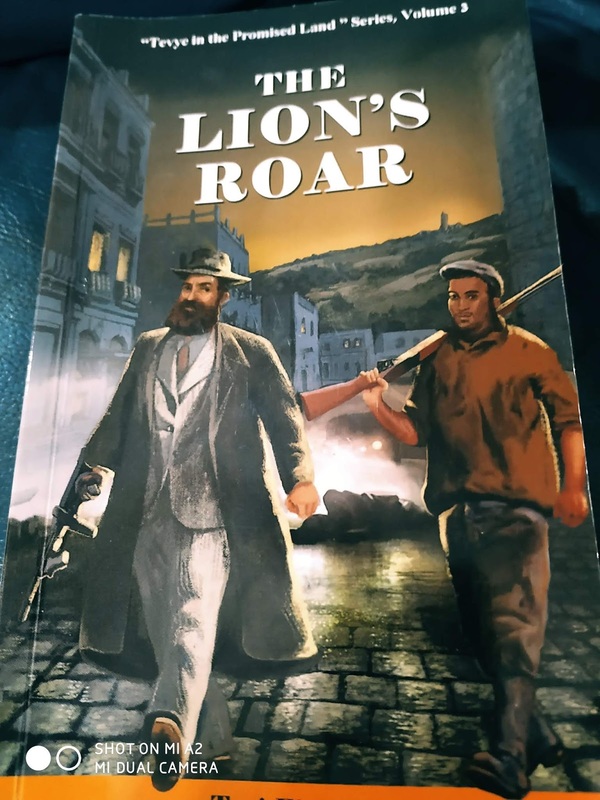 The Lion's Roar gives us an excellent view of the controversy and then break in the Zionist Revisionist movement that Zeev Jabotinsky had established. In addition, we read of the tension, competition and inside story between all of the Zionist groups, from Left to Right. 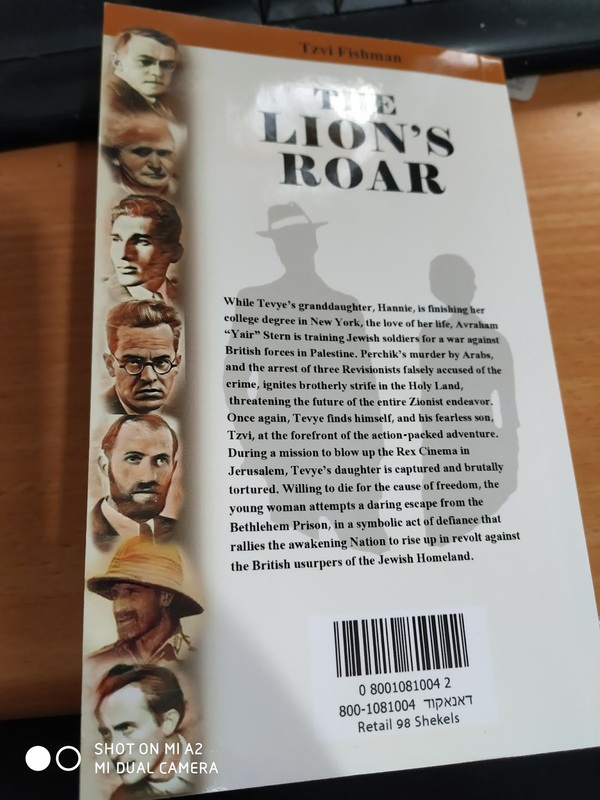 For those who are familiar with the history of the time, when Jews in the Promised Land had to decide between supporting Britain against Germany or attacking British police, because they supported Arab rights over Jewish ones, Fishman's characters and plot are well-written. It's also an enjoyable challenge for us to pick out which of his fictional characters are based on real people. I'm anxiously awaiting further installments about Tevye and his family in the Promised Land. satisfied with his food, in addition to wealth. His Will, G*D gives him what he wants. The poor bear the punishment for the sins of their generation. My Really Dumb Question About That "Wall"